The Jacksonville Jaguars are sticking with QB Blake Bortles as the starter, the team announced Monday evening. Coach Doug Marrone benched Bortles early in the second half of Sunday's loss to Houston following his second lost fumble for backup Cody Kessler. Bortles has thrown two touchdowns and five interceptions in his last three games, though the Eagles secondary could possibly make him look like the second coming of Joe Montana at Wembley Stadium. London, you are in for a treat. 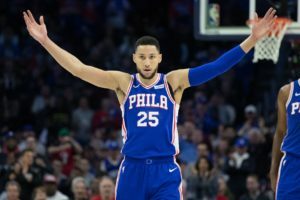 No, they won’t lose a home game. It’ll be Eagles vs. Jaguars in London next season, and Jacksonville will be the home team, as reported by Jeff McLane over at the Inquirer. The Birds will get eight games at Lincoln Financial Field. Philadelphia was one of just six teams that had yet to play in England, so the NFL was looking at getting them across the pond, which NFL UK managing director Alistair Kirkwood told ESPN a few months back. There will be four London games next year, including a Seahawks-Raiders matchup and Chargers-Titans tilt. Jacksonville has played five London games in a row, going 3-2 in that span. They’ve won their last three overseas. Owner Shad Khan has a London connection as owner of Fulham F.C. McLane says the game will be played at Wembley Stadium, while two of other NFL games will take place in Tottenham’s new arena, which is being built right now. Ms. CB and I (mostly Ms. CB) DVRed The Bachelor on Monday, and we watched it last night. [I’m rooting for the skinny brunette and the girl with one arm. Seriously.] I’ve always thought that it must be difficult for someone to be whisked away on a private jet for a romantic evening with the person of their dreams only to later return to the most well-lit mansion ever as other options are presented to their potential suitor. It must drive a person crazy. And now we know what it feels like. Not that Gus Bradley is the coach we’ve always wanted… but he’s a coach, and he was flown to beautiful Northeast Airport aboard a twin-jet Cessna Citation yesterday, reportedly to finalize a deal with the Eagles. Bradley and Jeffrey Lurie met into the night at Lurie’s house, but there was no deal. No smoke signal. No rose. No coach. Instead, Chris Harrison creeped us out and Bradley is on his way to Jacksonville to meet with the Jaguars, according to Adam Schefter. So, the Gus Bus has left the building, perhaps never to return. How would you like your steak, sir? Whisenhunt… wit? HAHA. I just laughed again. Jason Babin got picked up by the Jaguars, according to ESPN’s Adam Schefter. Eight teams put in claims on Babin, but the Jaguars had the second highest waiver priority, so they win? OK. Let me first apologize for all of you saw my successful week 1 Unidiction and took the week 2 numbers to Vegas. I told you my system only went to 28 — and was based on nothing other than uniforms. If anything would be the sign that you have a problem, betting based solely on uniforms is definitely it. Speaking of problems… Andy Reid totally destroyed my witty intro to this week's column. I even had an epic, dog-based pun. 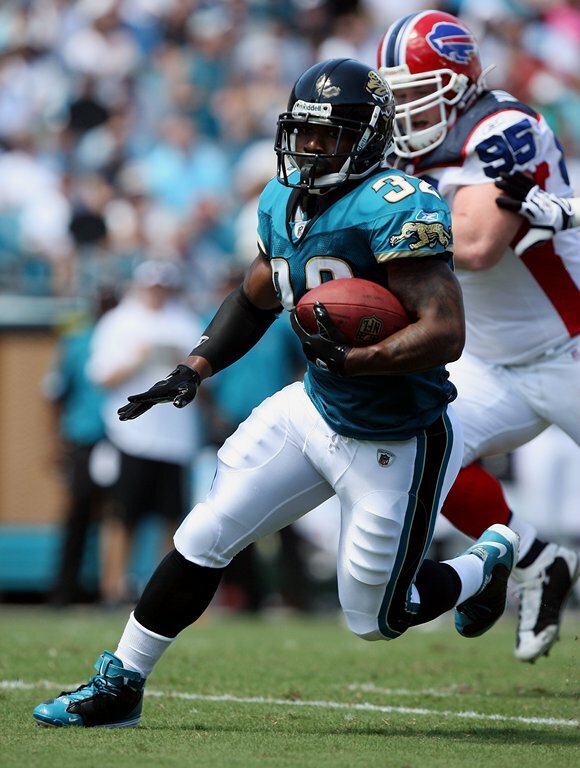 On to the uniforms… according to Uniwatch (as well as my keen eye for research), the Jaguars generally eschew the tradition of "warm weather" teams wearing white at home during September/October, and go right for the teal jerseys. So, the Eagles are in White over Midnight Green for the second week in a row. 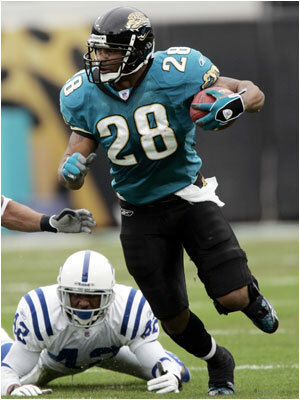 As you'll see below, I'm no fan of the current Jaguars uniforms, but a big, big fan of their previous (pre-2009) look. 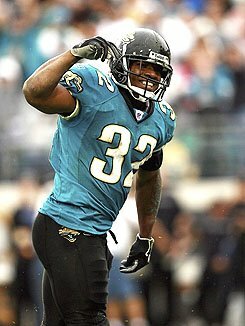 Specifically, the alternate combination of Teal Jersey over Black Pants was one of the best looks seen in the NFL. Unexpected color combination (teal and gold), no superfluous details, a unique, but reasonable typeface for the numbers…you name it, it had everything. The full story of the unveiling of the current uniform can be found at the Uni Watch Blog, but what's notable is that the new uniforms are meant to establish a firmer brand identity than the (admittedly bordering on excessive) numerous previous options. Of course, when a team doesn't have an "identity of winning" (and the fanbase which grows around that winning…unless you're the Tampa Bay Rays), deciding that the uniforms are the reason for the "identity" issues is much easier than developing a team which is successful on the field. A quick note about all those combinations: I'm generally pretty tolerant of the "monochrome" football look (Redskins, Seahawks, Texans, etc…by the way, this is a great page about the Seahawks uniforms), but I will admit I take issue with the black/black combination because black is in practically every team's color scheme to some degree, so it shouldn't/can't be the only color worn on a given Sunday (sort of serving as the opposite of a unique identifier). I'd like to think I have a pretty keen eye for this stuff, but I even almost linked to a picture of a Ravens player wearing black over black until I saw that his helmet did not have a jaguar on it. The UniDiction is after the jump. First, thanks to Jimmy DePhillippo for sending along this confused Eagles fan. She appears to be a little split (thank you, thank you). 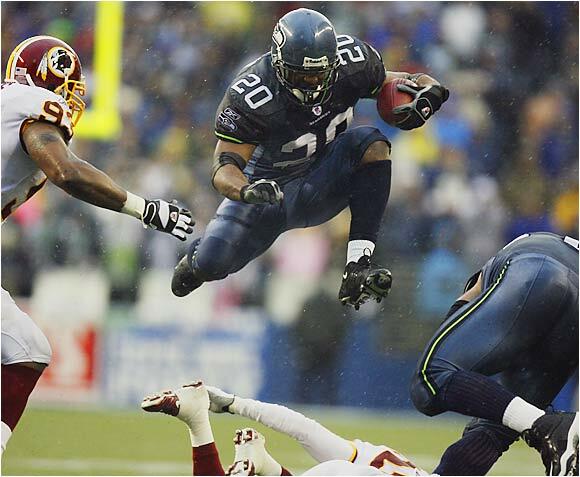 We get that Christ himself, Brian Dawkins, has moved on, but it's time we do the same, people. And yeah, you read that right, Jimmy tells us this is a woman. Finkle and Einhorn. Finkle and Einhorn. I figured we'd have a little trouble digging up an enraged Jaguars fan on YouTube today because, ya know, no one actually likes the Jaguars (it took the Vick announcement for the game to sell out). But we did find a guy who paid homage to the militant Lions fan we featured last week. Kudos to Catman19x for the effort. The rest of the video is, quite frankly, awful. No Carman19x, the Eagles and Jaguars are not "on the same level." Different conferences, different history, hell, different animals.